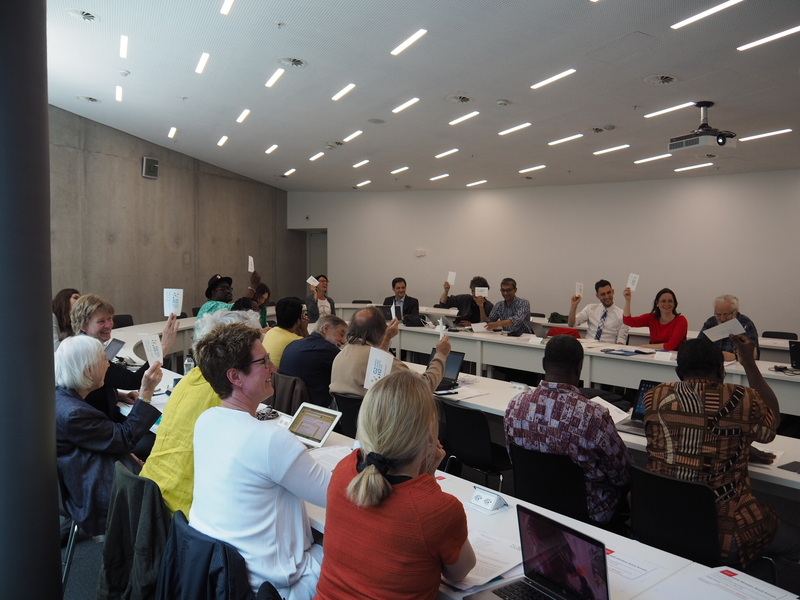 The First Annual General Meeting of the Geneva Global Health Hub took place on Sunday, 21 May, at the Maison de la Paix in Geneva. The meeting was attended by 17 out of 24 G2H2 members. The AGM adopted the report and financal report on the past year submitted by the SC and expressed its general support of the proposed Work Plan 2017-2018 (format and content), mandating the SC with its finalization and implementation. As a successor of Mariska Meurs (Wemos), Andreas Wulf (medico international) was elected by the AGM as new G2H2 President; Remco van de Pas (MMI Network) was elected as new member of the G2H2 Steering Committee.